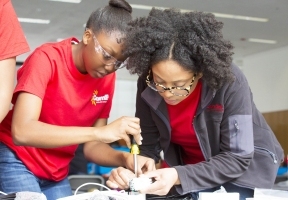 ComEd is launching its fourth-annual Solar Spotlight program to expose African-American high school students to opportunities in the fields of science, technology, engineering and math (STEM) as part of its annual Black History Month celebration. The educational program is part of ComEd’s effort to cultivate the next generation of STEM talent in the communities it serves and create the workforce of the future. Nearly 60 high school students will participate in the two-day educational session and interact with STEM professionals, including ComEd engineers and executives. Students will get hands on with solar energy technology and learn about STEM careers. Including this year’s program, more than 200 students have participated in the ComEd Solar Spotlight program for Black History Month. “As an industry and region, we need to do a much better job educating and attracting African-Americans into the booming energy sector,” said Joe Dominguez, CEO of ComEd. 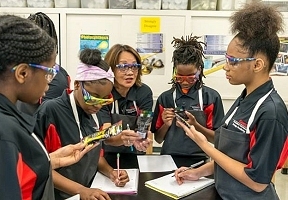 “I’m encouraged to see these young students empowering themselves, their schools and communities, while learning about the exciting career opportunities in our industry.” Solar Spotlight will take place on February 2nd at the Illinois Tech campus and February 9th at the ComEd Training Center in Chicago’s Bridgeport neighborhood.